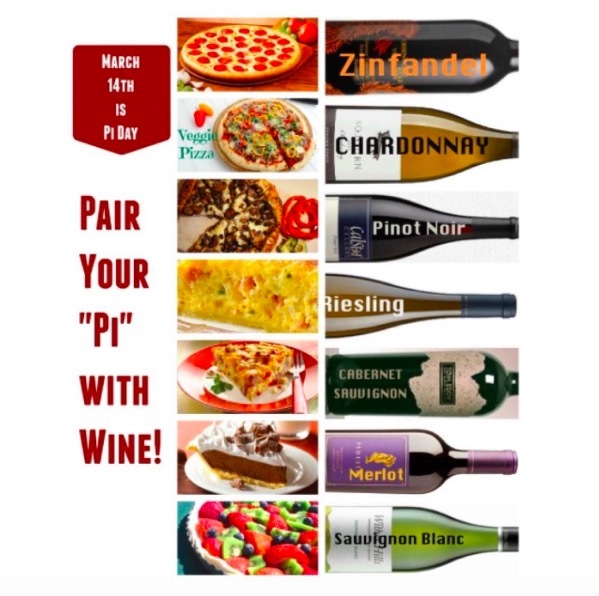 Pi Day Celebration >> Pair Your Pie with Wine! During the holidays we were obsessed with the whole idea of pairing wine with holiday cookies so it should not surprise you that we now love The California Wine Club’s idea of paring pie & wines. And what could be better than celebrating Pi Day with a slice (or two) of your favorite pies paired with the perfect wines!